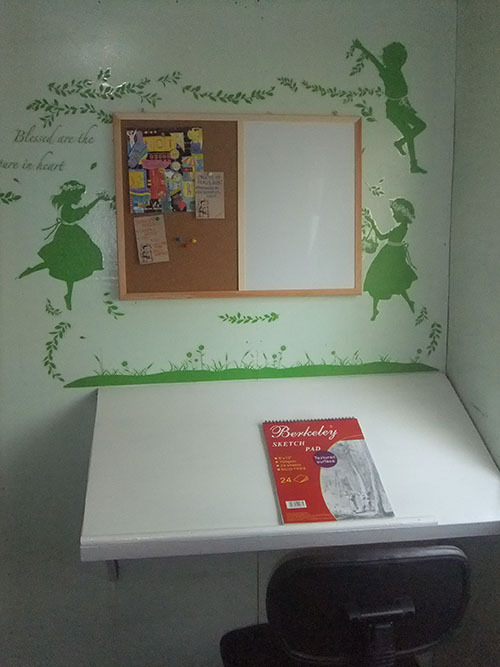 Remember this corner in our house which hubby converted into a drawing room for our daughter? It was useful to our daughter who loves to draw until she became busy with studies. Of late, she devotes much of her time to doing her thesis project in animation. Daughter still loves to use her pen and paper to draw and would definitely go back to sketching after her project is done. For the meantime, I’m checking on these functional tables at www.musiciansfriend.com/desks-tables-workstations, which could double as drawing or study table for my other child who will be in Grade 11 next year.